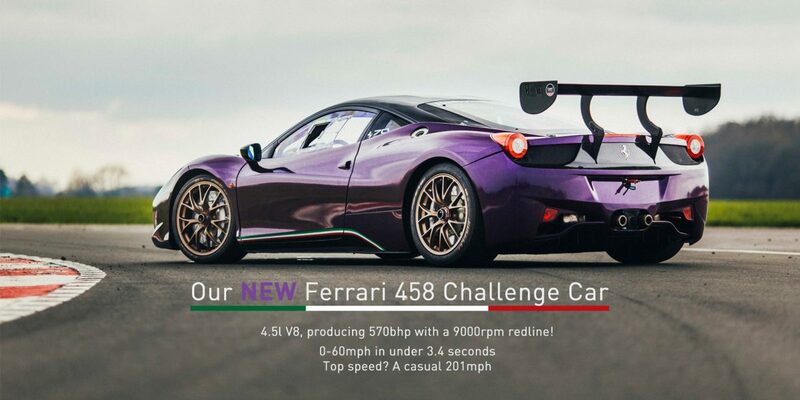 Due to a mechanical failure we are no longer able to offer the Ferrari F430 Challenge experience but have replaced this vehicle with a newer model – The Ferrari 458 Challenge. This replacement experience will include the same amount of laps on the same circuit. Dates and times for this experience can be found by clicking the image below.